John Bradley, who has earned praises and fans all over the world for portraying the role of Samwell Tarly in 'Game of Thrones', recently sat down with American television host and comedian Conan O'Brien and shared excerpts from a speech he gave at show's wrap party. Screenshot from Team Coco / YouTube | AP/HBO image. John Bradley, who has earned praises and fans all over the world for portraying the role of Samwell Tarly in the medieval epic drama Game of Thrones, recently sat down with American television host and comedian Conan O'Brien and spoke about how the massively popular show has changed his outlook towards life. Once an overweight reject from a family of warriors, Sam finally finds his true calling through his bookish knowledge. At Citadel in Old Town, he finds a remedy to fight White Walkers and even becomes Jon Snow's unofficial advisor as the show progresses. In a perfect case of life imitates art (and vice versa), the real-life Sam, too, grew up underconfident and unhappy being overweight and how he wanted to lose those extra pounds every time he woke up. 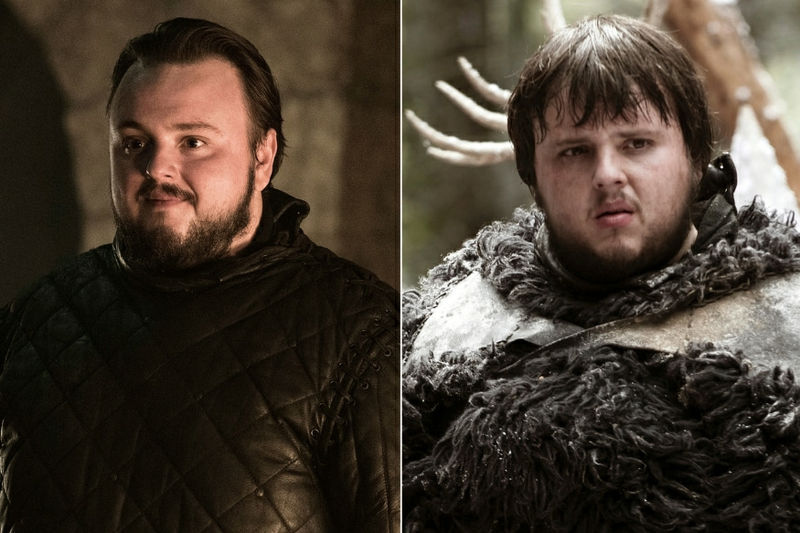 But when GoT makers David Benioff and D. B. Weiss approached him for the role of Samwell Tarly, his thinking changed. "You gave this speech that was really from the heart about what the show meant to you and what it meant to you as someone who had grown up with some insecurities and how important it was for you to let fans and everyone know that you'd grown up that way and you have this success and you wanted to pass it on," said Conan, who hosted Game of Thrones wrap party at Belfast in Northern Ireland. Sharing his journey, John revealed excerpts from the speech he gave at the same party. "As somebody who grew up overweight and kind of unhappy because of it, and thinking that life was going to pass you by because of it, and all the times where you just go to bed and you think, I'd give anything to wake up and not have this weight," John replied. "While I was feeling that about myself, David and Dan, our producers and everybody else connected with the show, they were looking for me," he added. "They were looking for exactly me." "If I'd have known that they were looking for me and what kind of effect that was going to have on the rest of my life then I just wouldn't have been able to believe it," he concluded. Studio audience present at Conan responded with applause and John's fans on YouTube had some nice things to say about him and "Samwell Tarly." "Everybody needs a Sam in their lives man. Frodo, Jon Snow... Bugs Bunny :D We love you Sam!!!" "Just realized I like him in GOT and real life." "I got chills, what a great person. 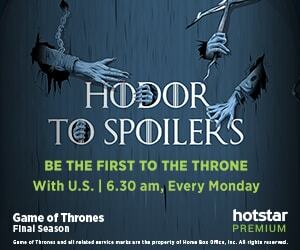 I hope he goes on to do even more after GoT." "One of the most genuine moments I've seen on a late show. I'm impressed and inspired." "Such a great character and awesome dude to bring him to life! Here's to you, Sam the Slayer, your words will be all that's left when winter ends..."
"He is maester Aemon in real life." "He’s someone I’d like to share a pint with."